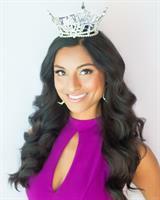 The Miss Arizona and Miss Arizona's Outstanding Teen programs exists to provide unparalleled scholarship and service opportunities to young women in the Grand Canyon State. More than 50 young women representing all corners of Arizona compete at the State competition each year to earn more than $1,000,000 in cash and in-kind scholarships. By providing a platform for tomorrow’s leaders to express their opinions, talents, character and intelligence, our organization seeks to aid in personal development, better the community and state at large, and display the importance of service before self.